I couldn't decide to buy greddy ti-c or hks hi power axle back.I want deep ,loud and pretty sound.which exhaust do you suggest for me ? Hks hi power or greddy tic? Last edited by ugurge8; 06-15-2012 at 06:26 AM. Do a search. There are a lot of posts with Video. I like my HKS. Expensive. Maybe just remove muffler and add a nice tip. Sounds good and a lot cheaper too. @op, depending on what you want to do... both axle-backs are on the louder side. if you want to run it with stock resonated b-pipe, then both would do fine. if you plan to run unresonated b-pipe in the future then you might want to reconsider and look into a more quite axle-back. anyway, between greddy ti-c and hks hi power... I'd take the titanium. hmmm greddy looks more agressive. I suppose greddy bigger than hks and greddy a bit close ground according to hks. Am I right? The greddy is more agressive. And it isnt close to the ground at all. My car is lowered and ive never scraped it. I was stuck between HKS and greddy for the longest time... I chose the greddy and Im really glad I did. 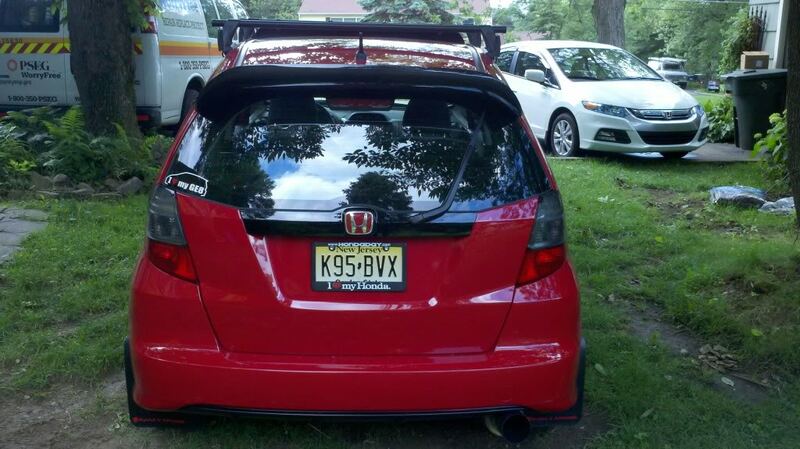 It sounds awesome... and with a midpipe resonator delete... even better. I always thought the greddy was supposed to be the quietest muffler short of the mugen one that we could get for our cars. No? I thought the HKS or Tanabe were supposed to be quieter.... but not sure. From videos I like the way the Tanabes sound. They have a throaty note to them that is lacking in the others. None of the axlebacks for the Fit are loud.